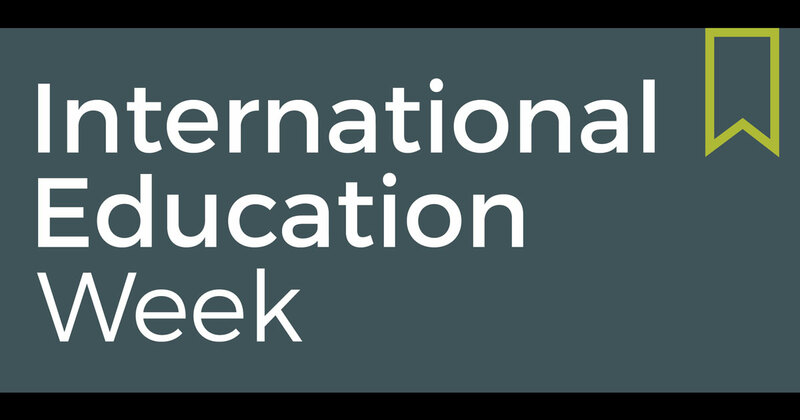 The International Education Week, a joint initiative of the U.S. Department of State and the U.S. Department of Education, celebrates and promotes the benefits of international education, as well as exchange programs worldwide. On that occasion, a roundtable discussion was organized and hosted by the U.S Embassy in Lebanon on November 14th. The aim was to promote over 20 educational exchange programs offered by the Embassy, and have former participants share their experience with attendees, and explain how the program impacted their professional life. The U.S department of state has proved to be a leader in academic exchange programs in Lebanon, with some dating back to the 1950s; its support has been continuous. The educational exchange programs target individuals from varying age groups: starting at the high school level where students can participate in a year-long exchange program in a U.S. high school, through university studies, up to the early and mid-career level for professionals. A roundtable discussion on Wednesday Nov 14th was set up by the U.S. Embassy to allow participants in these educational programs to discuss their takes on the effectiveness of these programs by describing their experiences in them as well as their impact on their further professional life. The discussions were centered on 3 general programs that offer various opportunities. 1- USAID USP: one of the most prominent and impactful programs which provides merit based scholarships to Lebanese public school graduates from across Lebanon to study in the most prestigious Universities in the countries such as AUB and LAU. The Scholarship not only include full coverage of tuition fees and book costs, but also offers a monthly stipend and a laptop, giving the student the chance to perform well with no financial worries. What is required from the student in return is beneficial to him: maintain a passing grade, participate in campus life and community service activities. Mirna Hussein, one of the participants in the USP program, graduated with a Nursing degree from the American University of Beirut. Despite her starting her university life taking supplementary English courses, Mirna had no difficulty adapting, and quickly climbed up to become one of the top of her class. She was elected as a student representative in the council, and in her senior year she became part of the Student Faculty Committee, one of the highest ranking student committees in AUB. The USP scholarship does not only encourage students to achieve excellence all across Lebanon and from all social backgrounds, but it rewards the highest forms of hard work and determination, and provides students to follow their dreams and reach their goals, regardless of the economic situation of their family and the lesser prospects in their immediate communities. The Middle East Peace Initiative (MEPI): Programs which focus on leadership. While education is the common goal of all the programs, leadership training is pivotal to the success of the MEPI programs. Tala Khlat participated in the MEPI-Leaders for Democracy Fellowship Program in the summer of 2018. Tala boasts seven years of experience in Donor funded programs and is a founder of an NGO “Min Ila” that works on citizenship education for the youth. Having had such a rich experience did not prevent Tala from benefiting immensely from the additional Leadership program in which she spent 1 month in Duke University in North Carolina, and 2 months working with an organization of her choice based in Washington D.C.
Tala quickly realized that one of the things boldly different in Lebanese universities, is the settling to the hierarchical aspects of the faculties, whereas in Duke university she almost felt like a faculty member because of the important role she got to play. Furthermore, she highlighted how the content of studies came directly from current events that they would discuss daily, instead of plain theories from textbooks. They would open the newspaper every day, and discuss the events in the country as they unfold. After the first month, she was invited to select an organization that suits her interests, to work with, so that she can expand her experience even more. Most importantly, at the end Tala hoped to bring back to Lebanon with her all that she learned and experienced. 3- The Kennedy-Lugar Youth Exchange and Study Program (YES) is one that stood out and appeared to be the most unique and impactful among the many others. The YES program gives high school students from the early age of 15, the opportunity to participate in an educational exchange program where they spend 1 high school year with a host family in the United States. Nataly Nasr Eddine, one of the participants, spent the academic year of 2006-07 in Hilo High School in Hawaii. She believes her experience set her up to achieve success in the many endeavors she later came across. She later moved on to graduate from the American University of Cairo through a MEPI scholarship, and then also became a winner of a Fulbright Student scholarship and received an MSc degree in Tumor Biology/Cancer Research from Georgetown University Nataly is currently pursuing her Ph.D. in Cellular Molecular Biology at AUB. Although her YES program experience seems to be the smallest of her academic achievements, it will always represent an essential stepping stone that helped her get to where she is, as well as something she will always be proud of. The International Education Week is an initiative that sheds light on the vast opportunities made possible for the ambitious students and professional of Lebanon and the MENA region, and these programs offer constant follow up for participants who have moved on to showcase the success these programs helped them achieve. When it comes to educational programs, there is no doubt that exchange promotes a uniqueness of outlook that is very special for each participant. Moreover, from the experiences shared, it seems that the younger the participant, the more passionate and motivated he will become to promote change. For most of the participants, and especially those who shared their experience, these programs were the most remembered and valued experiences of their lives. An important lesson learned is that no time should be wasted for a person to pursue their future, and no country is too far for us to seek knowledge.